Here you’ll find website resources and services that I use for my business and my websites. These resources can save you time every week, save you money every month and make running a solo business easier. Over the years, I’ve tried many services for my business and add-ons for my websites. These are the ones that I either still use now and why I love them. Of course, there are tons of services out there and I obviously haven’t tried them all. If you have a service you love or that you feel is better than one that I use, please let me know. Many of these links are affiliate links, which means I get a small commission if you purchase. However, none of the fees for these resources and tools have been increased to compensate me. If you're just starting out and haven't purchased hosting or if you're unhappy with your hosting company, I recommend SiteGround with WordPress for your virtual assistant website. It's super affordable and new customers get a huge discount for the first purchase. To save even more money, wait until the next big holiday, which is when they offer even bigger discounts for the first term. Another tip, if you can afford to purchase a longer term, then you'll save even more money because once the account renews it will renew at the regular price. SiteGround is highly recommended by the WordPress community and comes with some of the best customer support you'll find in the hosting space. They offer the free Let's Encrypt which will also save you money every year. Let's Encrypt is a service providing free SSL for your website. SSL is a must have for websites. You don't have to purchase a premium theme now or ever by if you're looking for an awesome and highly customizable theme that can grow with you with your business this is a great theme. Elegant Themes provides awesome support with a searchable knowledge base and support forum. They listen to the customers and are constantly improving their product and service. If you're going to buy, I recommend the lifetime membership if available because you won't have to worry about an annual renewal expense. You can easily create some great custom graphics for your virtual assistant website using Canva. There is both a free version and a paid version. This is one that you can start out with the free, then as you start bringing in income you can upgrade later. The paid version gives you more features like being able to download graphics with transparent backgrounds and being able to easily resize graphics. Being able to resize is great when you want to quickly create similar graphics for different platforms which all seem to have different sizes. This is a great resource for high-quality, royalty-free images. You can easily search for images by entering keywords into the search bar. 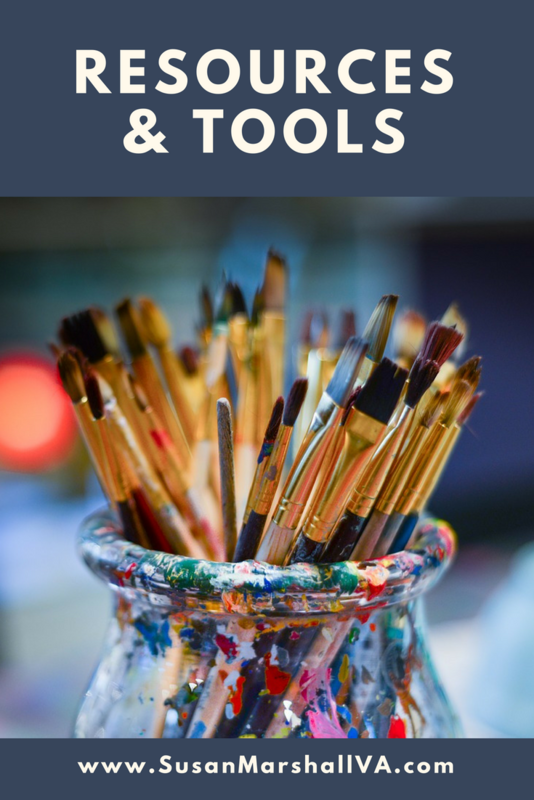 You'll find some beautiful images here that you can then upload to your free Canva account, which will allow you to create custom graphics for your website and social media accounts. Over the years I've had the opportunity to try many different email marketing services while supporting my many clients. One thing you'll really learn as you support your clients is how good the customer support is for these services. Aweber has always stood out to me because they not only offering a great product that they are continuously improving upon but the awesome customer support they provide. Customer support isn't available 24/7 which is okay because I don't work 24/7 for my clients. I work a normal workweek, Monday through Friday, most of the time so they're availability works great for me. They offer multiple ways to receive support. Currently, you can get support via chat, email, and phone. They are easy to understand and seem to always understand me and what I need help with. They also have a great knowledge base with instructions, videos, training materials and regularly offer webinars. I can't say enough good things about Aweber. When I first started my virtual assistant business I was storing passwords in an excel spreadsheet. Those days are long gone! LastPass is the easiest way to store passwords for yourself and clients. You only have to remember one password and LastPass will remember the rest. It can be used across all devices and there are browser extensions for multiple internet browsers. You have to check this out if you don't already use it or a similar service. Best of all, you can get a free account. It's time to drive more business opportunities through your website! vCita LiveSite captures more visitors on your website and dramatically increases opportunities. LiveSite lets clients contact you more effectively, schedule an appointment, share documents and even pay online. 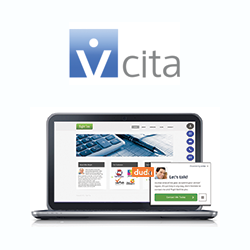 With over 100,000 small businesses using vCita LiveSite worldwide, I'm confident it will help your business grow. I’d be glad to help you get started with a 30-day trial vCita LiveSite and even add it to your website. Even though popups annoy people, they still get a percentage of people who wouldn’t have opted in otherwise to join your list. But it feels smarmy, and do you even want those new people on your list anyway? Aren’t they just going to unsubscribe at the first opportunity? Well, believe it or not, once someone gets to know you and grasps the value of your email communication with them, they’re a lot more likely to stay on board. Assuming you’re offering the right “thing” to entice them to join your list… if you’re giving away a free laptop or a cuddly kitten, it might attract a freebie-seeking crowd. So what’s an ethical business owner to do? Yes! It does exist, and it’s all a part of digital strategist Nathalie Lussier’s mission to make the web a better place for visitors and business owners alike. You see, the saddest thing that can happen when you don’t have a strong call to action on your website (using a polite popup) is that 50% or more of your visitors land on your website never to return. That’s sad because they don’t get your ongoing support and wonderful emails, and you don’t get the chance to help them further through your products and services. That’s where PopupAlly comes in – it’s the premium WordPress plugin that makes adding a beautiful, elegant, and highly converting popup or embedded opt-in to your website a cinch. 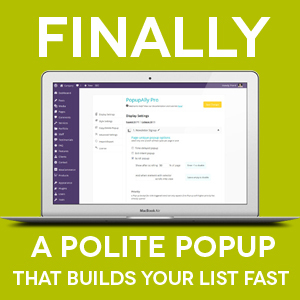 If you want to tap into the power of popups, without turning your visitors off… then PopupAlly is the way to go! Grab your copy and see! I'm putting together a new US-based Virtual Assistant Websites directory and I want to offer you a listing and backlink for FREE!